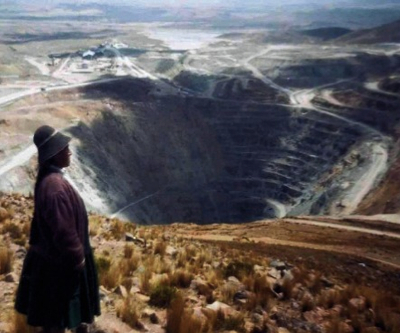 Mining in Peru would have injected $8.9 billion to the local economy by the end of 2013 and will likely to reach similar levels by the end of next year, said the National Society of Mining, Petroleum and Energy (SNMPE) in a recent report (in Spanish). While the SNMPE noted last week that Peru’s mining industry has been severely affected this year with the slump in mineral prices, it was counting on Anglo American (LON:AAL) to make a positive decision on its Quellaveco copper mine. The company, however, said Thursday it was postponing the touted project until 2015. Carlos Gálvez, CFO of precious metals producer Buenaventura (NYSE:BVN), told El Comercio he thinks the government needs to adjust its projections, as the $57 billion mining investment portfolio announced for next year now seems clearly inflated. “[The government] talks a lot about having more than $50bn in projects, but we'll only see the start-up of [Chinalco's $3.5bn] Toromocho in 2014," Gálvez was quoted as saying. "We should be investing $10-15bn annually in mining projects, but we're not." But energy and mines minister Jorge Merino said Friday (in Spanish) the country will see a rebound in production of silver, zinc, lead and iron ore this year, as production of most major metals including copper rose through the first 10 months of the year, halting three years of declines in many products. The authority added the government was focused on developing roundtables with local communities to overcome opposition to projects and create favourable conditions to foreign investors. The potential is appealing. Peru holds13% of the world's copper reserves, 4% of gold, 22% of silver, 7.6% of zinc, 9% of lead and 6% of tin reserves, according to the ministry. Over the next three years Peru is expecting about $16bn coming from projects including Glencore Xstrata's (LON: GLEN) $5.1bn Las Bambas mine, Hudbay Minerals' $1.55bn Constancia and Freeport McMoRan Copper & Gold's (NYSE: FCX) $4.4bn expansion of its Cerro Verde mine, all of which will help to more than double Peru's copper output from 1.3 million tonnes last year to 2.8 million tonnes by 2016.